Please respond to the following questions. 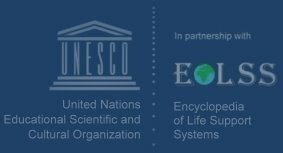 We value your assessment and welcome constructive suggestions towards improvement of the User Interface, Navigation, and Contents of the Online Encyclopedia of Life Support Systems (EOLSS) to meet your present and future needs. What do you like about EOLSS relative to other online sources? Please be frank and specific.